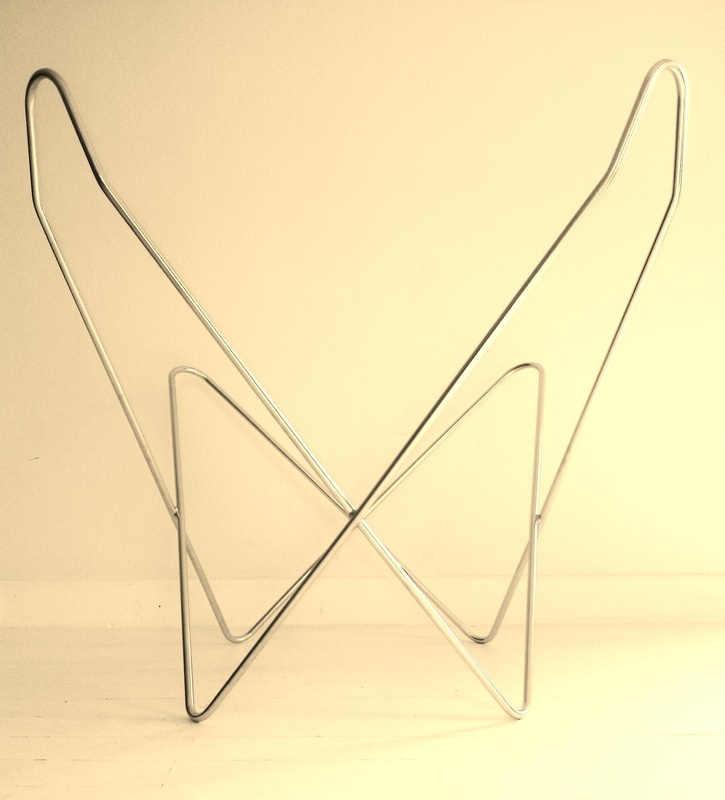 FEATURES: True to the traditional BKF Fixed frame BUTTERFLY CHAIR, muumuu frames have tight curves at the 4 base points and rounder curves at the sling support wing ends. The original design is distinguished by the upturn ears of the upper wings which help shape the seating position, something that most imitations fail to replicate. Our frames are created to the highest specifications, ensuring your frames can be handed on to your children and children's children. 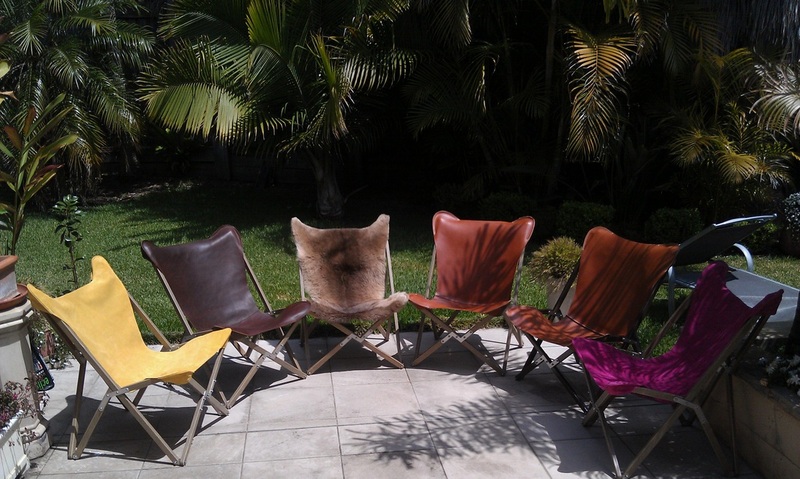 Widely known as BKF chairs in Argentina, the iconic BUTTERFLY CHAIR was designed by three young architects by the names of Bonet, Kurchner and Ferrari-Hardoy, in 1938. They were in turn, inspired by the TRIPOLINA chair, first used in North Africa by the British and then the Italians in the 19th century. FEATURES: All the features of the early Tripolina design have been incorporated, and some embellished in the muumuu Tripolina chair in order to maximize comfort, sustainability and longevity of use for life in todays world. MERANTI Frames - Ebony black or chalk white finish or clear coated. The Tripolina design is attributed to Englishman Joseph Fenby who patented the design 1877, but had become bankrupt by 1979. 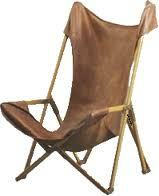 The chair was popular as a campaign or safari chair, its design admired for its ease of transport and comfort. It was manufactured under licence from1904, by French, Italian firm Vigano in Tripoli in Egypt, and in the USA. Marketed for both leisure and military use the chair became widely known in Europe as an "officer's" chair or "campaign chair". Used not only by the British and American armies, the Italian army also used it in their 1930's campaign in Libya where it found its name "Tripolina" chair.